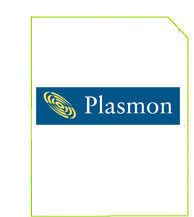 Plasmon, the market leader for professional data archival solutions, announced the Gx134 and Gx174 as new additions to its Midrange G-Series family of libraries. The new Gx134 library has an archival storage capacity of 4TB while the Gx174 stores 5.2TB. Both can be configured with a mix of two or four 30GB UDO (Ultra Density Optical) and 9.1GB MO drives. The Gx134 and Gx174 libraries are the third set of Gx configurations to be introduced by Plasmon in the last year. Like all G-Series libraries, the Gx134 and Gx174 have the industry's best MTBF (Mean Time Between Failure) ratings and dual pickers providing typical data access times of less than 10 seconds. Optional features include the newly introduced internal lighting and window kit and bar code scanner. Because the Gx134 and Gx174 use the same firmware design as the existing Gx24 and Gx80 libraries, Independent Software Vendors (ISV) that support the current libraries can support the new libraries with no additional integration work. As a result, both the Gx134 and Gx174 are already supported by more than 35 ISVs worldwide. Plasmon G-Series libraries Powered by UDO offer comprehensive capacity range from 720GB to over 19TB, designed to accommodate entry level to enterprise archival storage requirements. Plasmon optical libraries, drives and media are sold through a worldwide channel of distributors, resellers, system integrators and OEMs, and are supported by a global maintenance infrastructure. Customers include: investment banks, on-line trading companies, multinational insurance companies, government institutions, healthcare delivery organizations, television and radio broadcasters, retail companies and engineering firms. 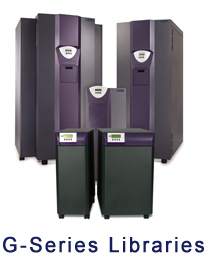 For more information ask IEEI for a free quote.